Power On:Hold down the headset multi-function keys about 4-7 seconds until the earbud Led light flashes, at the same time there will be Voice Reminder "Power On" . Power Off:Hold down the headset multi-function keys about 4-7 seconds until the earbud Led light disappears , at the same time there will be Voice Reminder "Power Off" . [Super Sound Quality with V4.1+EDR] Built-in A2DP /AVRCP Audio Processing System Which Eliminate Noise and Echo. High Quality Chip for Stereo Sound and Bass Sound .Clear High & Low Volume . It's Easy To Take and Make Calls ,Voice Dialing with Superior Microphone Quality. Ideal for Car Calling and Friends Chatting, or Working Use. 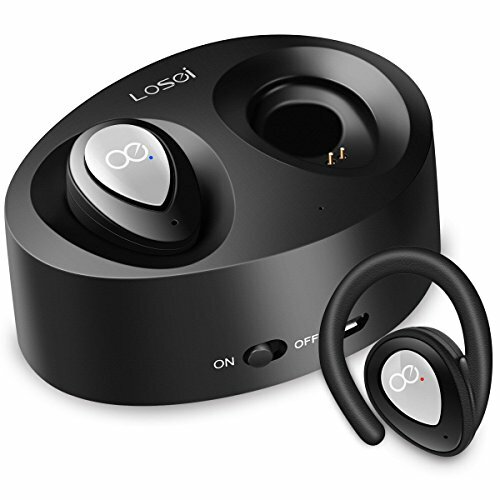 If you have any questions about this product by Losei, contact us by completing and submitting the form below. If you are looking for a specif part number, please include it with your message.